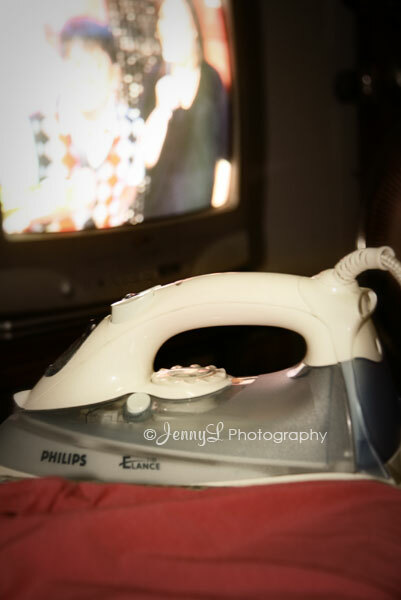 One of the chores that I hate doing is IRONING.. arghhh.. but last Sunday, I have no choice but to do it bec. I have nothing to wear anymore this week. Actually I didn;t get bored while doing it bec. I did my ironing in front of the TV. I was watching SHARON that time and I was laughing bec. their guest where gays who sung and act like macho while wearing women's clothes.It took me a while to finish my ironing bec. I was busy taking photos hahaha..